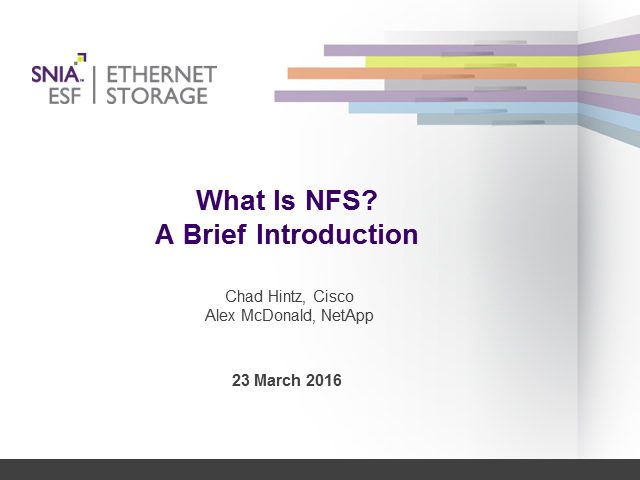 The popular & ubiquitous Network File System (NFS) is a standard protocol that allows applications to store and manage data on a remote computer or server. NFS provides two services; a network part that connects users or clients to a remote system or server; and a file-based view of the data. Together these provide a seamless environment that masks the differences between local files and remote files.